Robert Pattinson is reportedly "obsessed" with Kristen Stewart and wants to get back together with her. Robert Pattinson is "obsessed" with Kristen Stewart. The Twilight star ? who ended his four-year relationship with the brunette beauty in May following her fling last year with director Rupert Sanders ? met up with Kristen in Los Angeles recently and friends believe they’re close to reconciling. A source told Us Weekly, "They will probably pick up where they left off. Rob is obsessed with her." Kristen (23) is also thought to be eager to get back together with the 27-year-old hunk. The insider added, "She's still heartbroken. She can't seem to get over him." 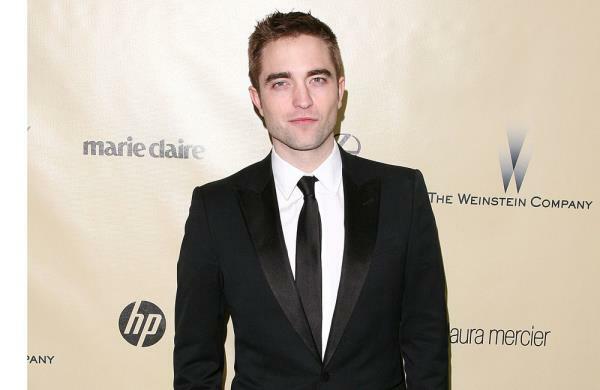 Following the split, Robert was determined to move on and he was linked to actress Riley Keough and reportedly enjoyed a brief fling with his Maps to the Stars co-star Sarah Gadon. The pair have been close since meeting on the set of Cosmopolis in 2011 and started spending even more time together after reuniting while working on their latest movie. A source said, "There's a real spark between them. And they've already been spending time together when filming ends for the day. "They have become very close. When there's a break in filming, they'll often sit on their own and chat. Sarah's really into the arts and literature, which Rob loves. And they even talk about English soccer together because she watches games on TV. They have a lot in common."